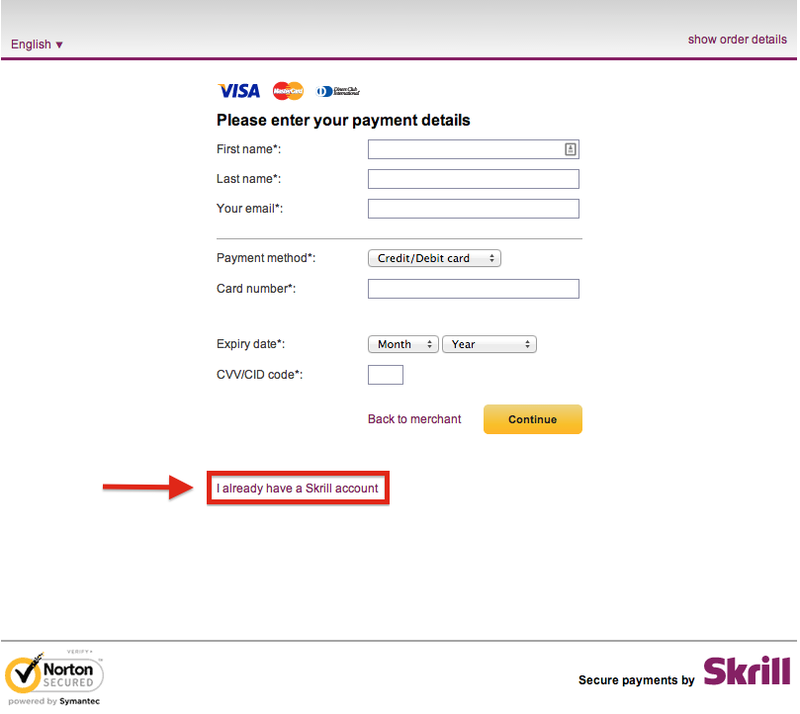 You will need a balance of more than US$10 or the equivalent if using another currency in your Skrill (formerly Moneybookers) account to transfer it to your BetOnline account. 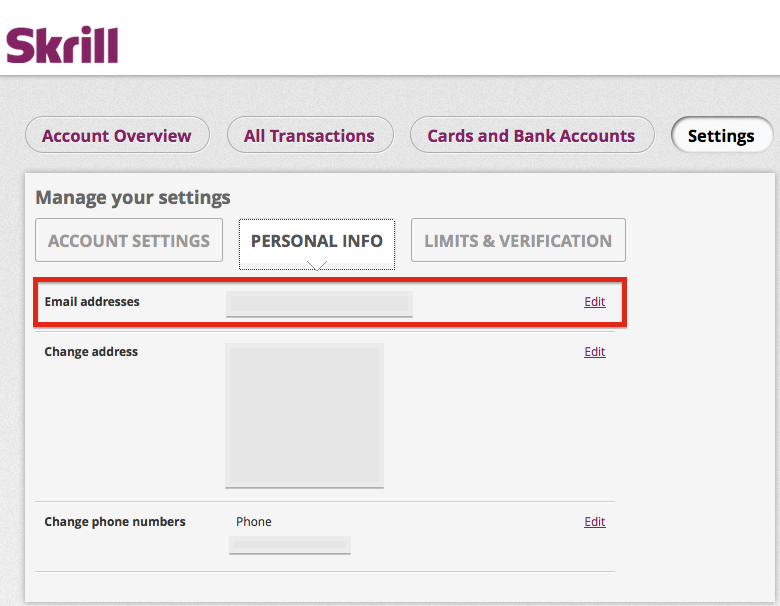 If you have not deposited US$10 or the equivalent into your Skrill account, please refer to this page. 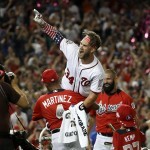 If you have more than US$10 or the equivalent in your Skrill account, click the link below to access BetOnline. After entering your Username or Email Address and Password, click “LOGIN” to continue. If you do not have a balance in your account, the following screen may appear upon logging in. 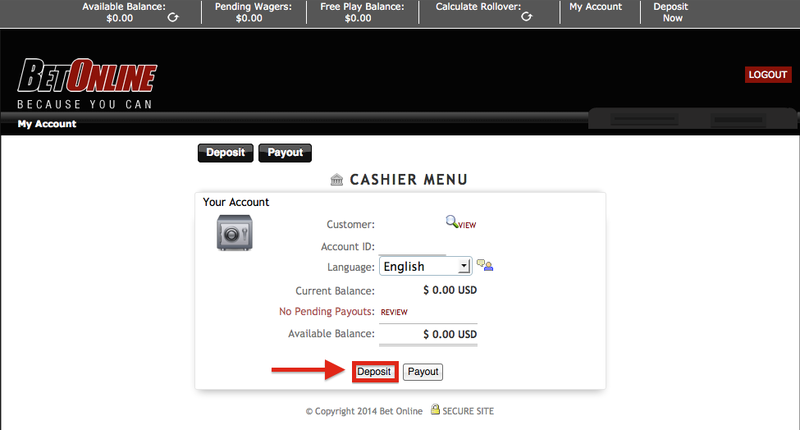 Click “Deposit” to continue. If the screen above does not appear, click the “Cashier” button in the upper right-hand part of the screen as indicated below. 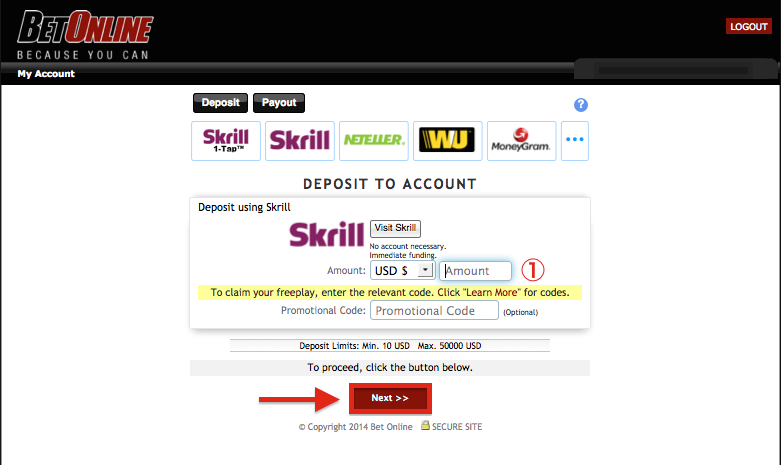 After selecting Skrill, enter the amount that you would like to deposit (should be more than US$10 or the equivalent). 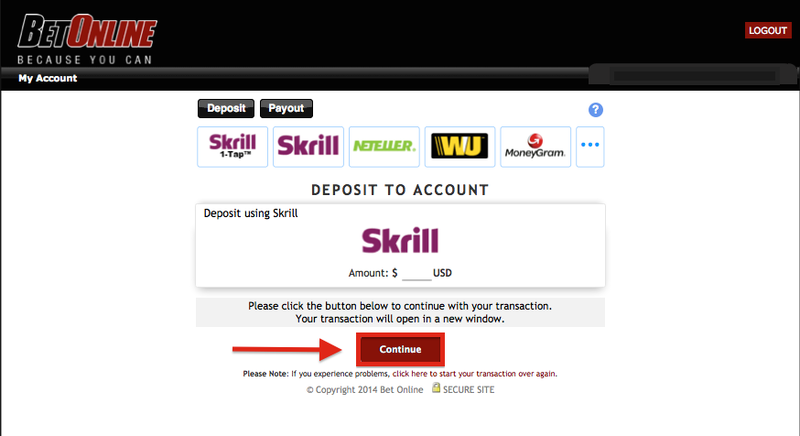 For the currency, we recommend you select the same currency as your Skrill account to save on transaction fees when depositing into and withdrawing from your BetOnline account. To continue, click the red “Next >>” button. 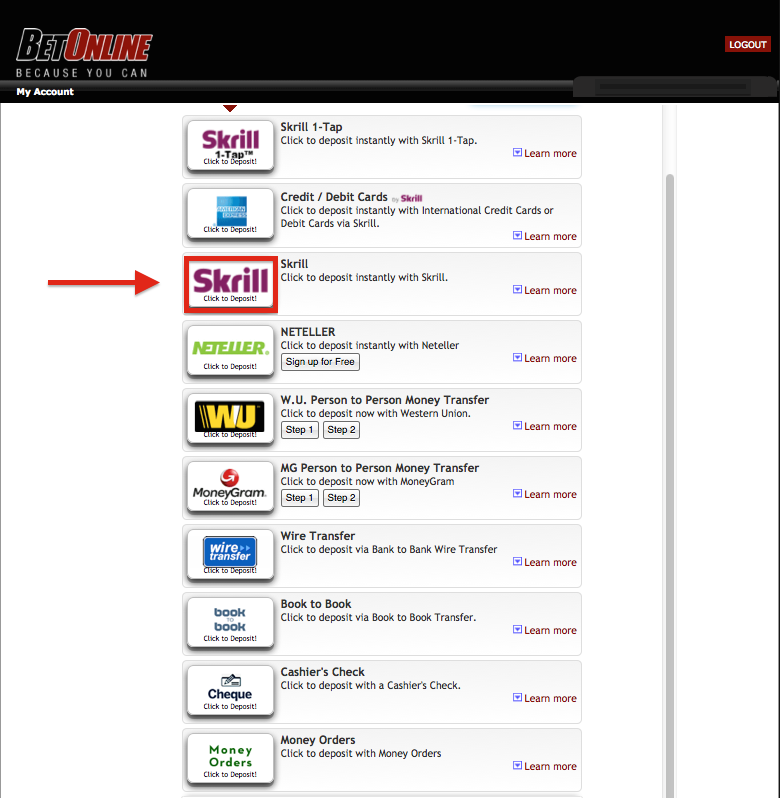 ※ Note that for US residents, Skrill is not an available deposit method at BetOnline. 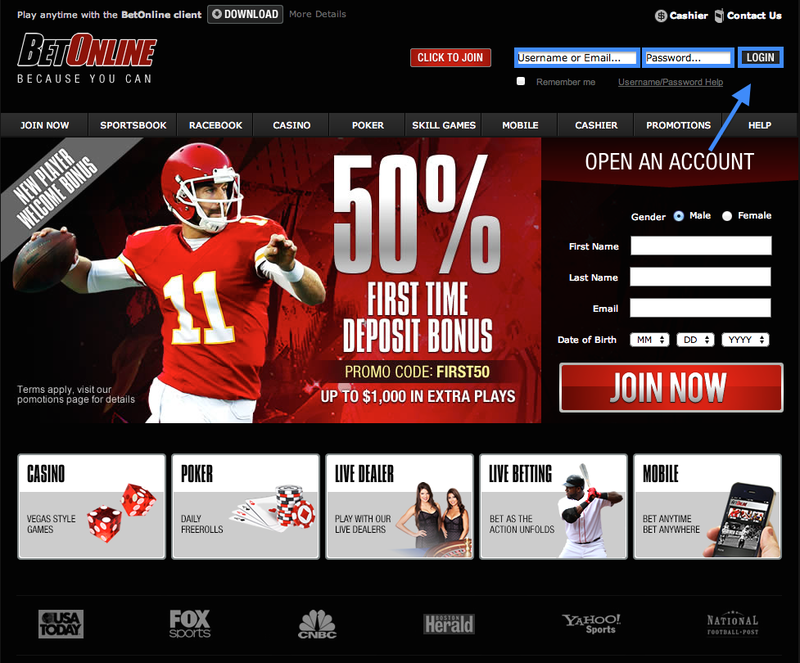 Please choose another method to deposit funds into your BetOnline account. On the next screen confirm your deposit amount and click the red “Continue” button. 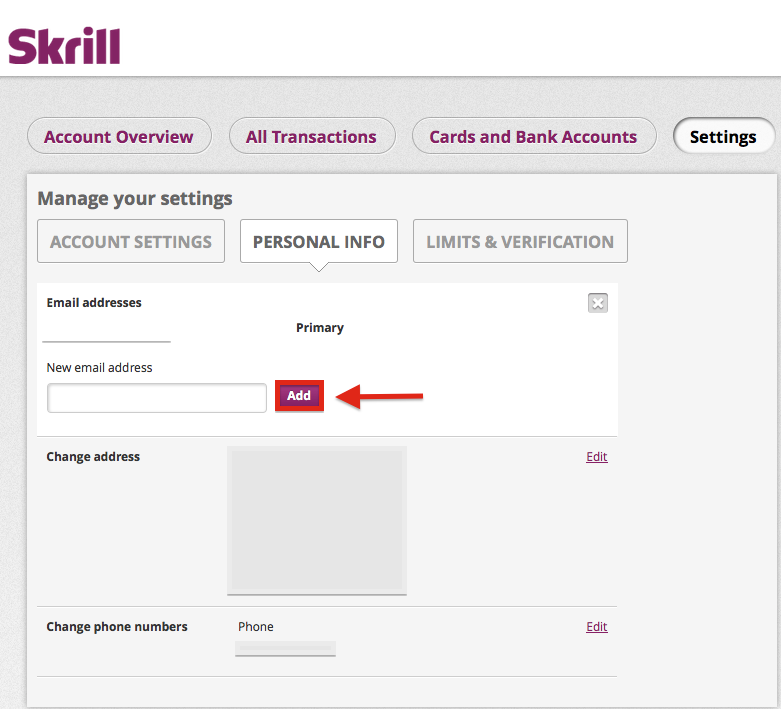 ※ Please note that your Skrill email address must be the same as your registered BetOnline email address. 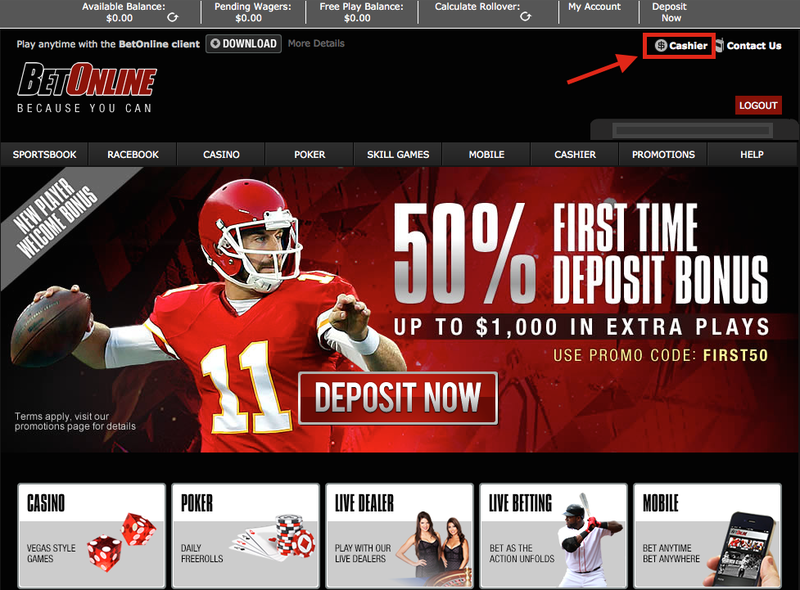 If this is not the case, you can add your registered BetOnline email address as a second email address in Skrill by following the steps indicated below. 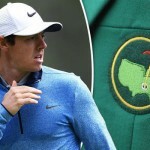 Want to send funds from Moneybookers to BetOnline? View here for a step-by-step guide. 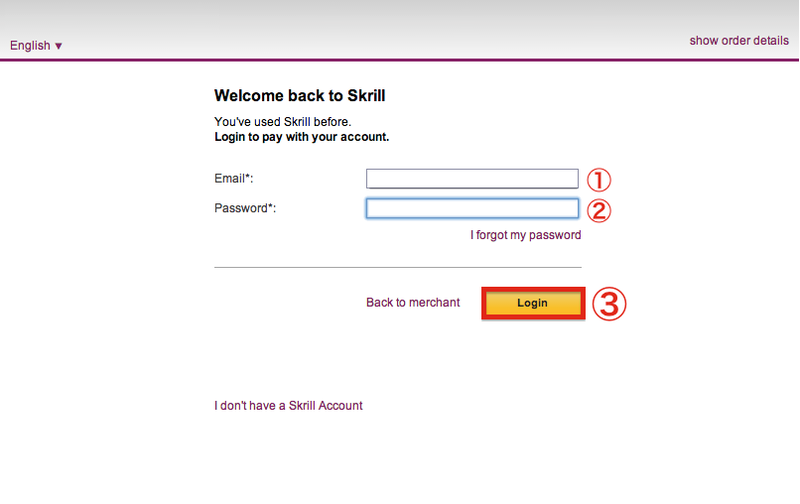 Plus, learn how to deposit and withdraw your money with Skrill.